The Valley Club of Montectio is another brilliantly designed golf course by Alister Mackenzie. It is located near Santa Barbara, California and has the Pacific Ocean lurking in the distance and has mountains surrounding the course. 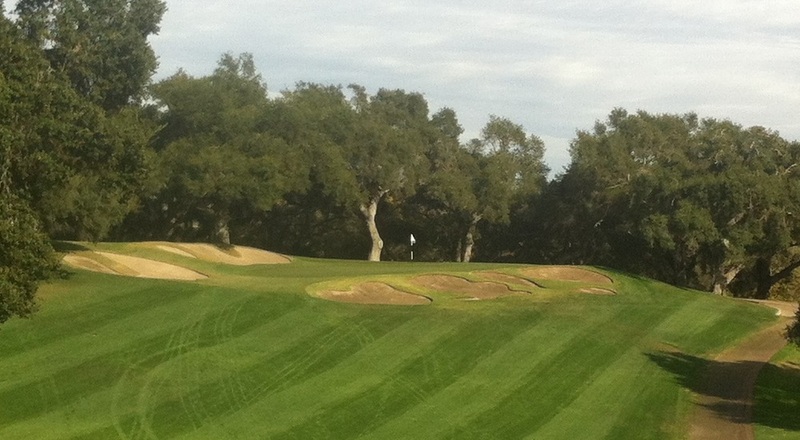 And the greens are a wonderful mix of bold and subtle contours and slopes. The routing of the course stacks the challenges up one after the other in a wonderful manner and the walk is ideal for playing the game of golf. But with as great as the golf course is, the club might be even better. The laid back vibe, the secluded nature, and the history of the club makes for a wonderful days experience. For those lucky enough to be members at The Valley Club, teeing it up there every day must be an amazing feeling.